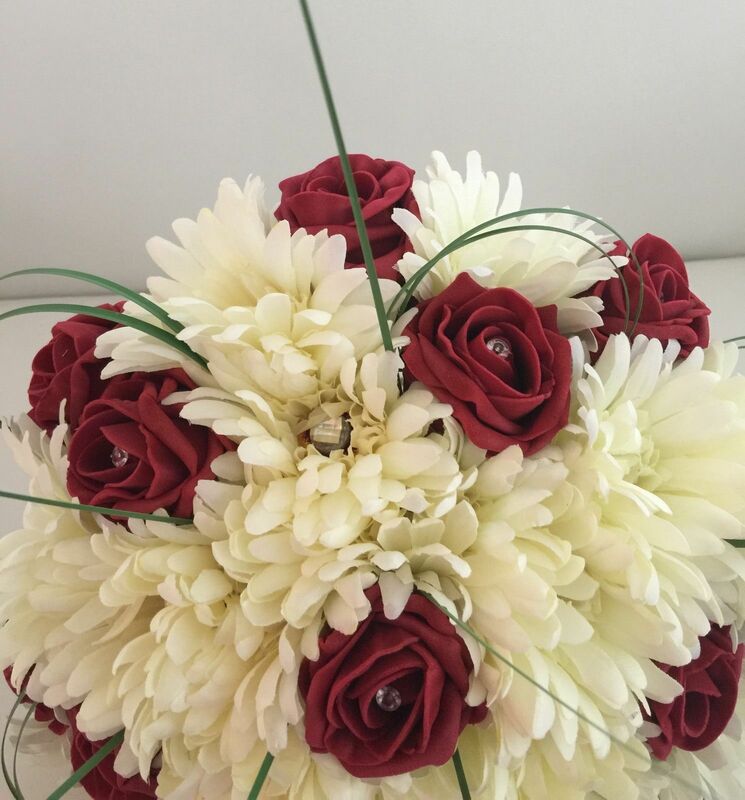 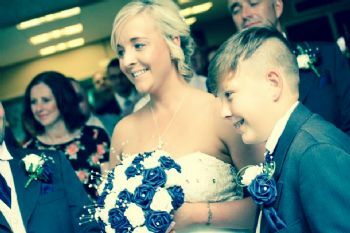 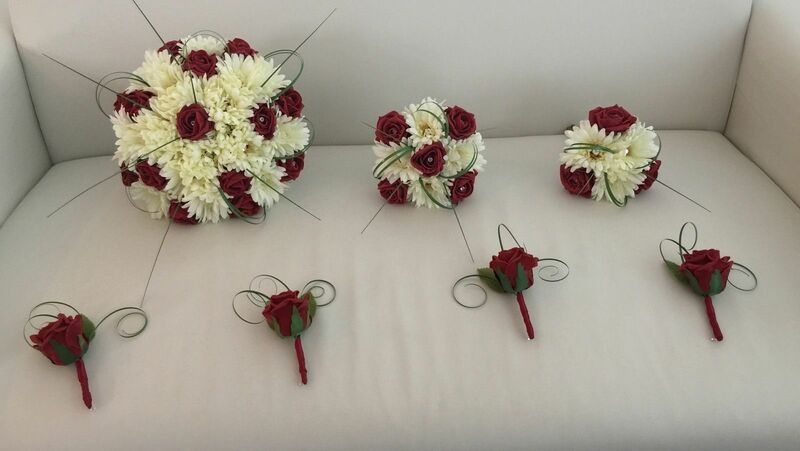 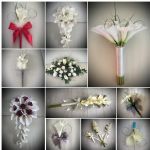 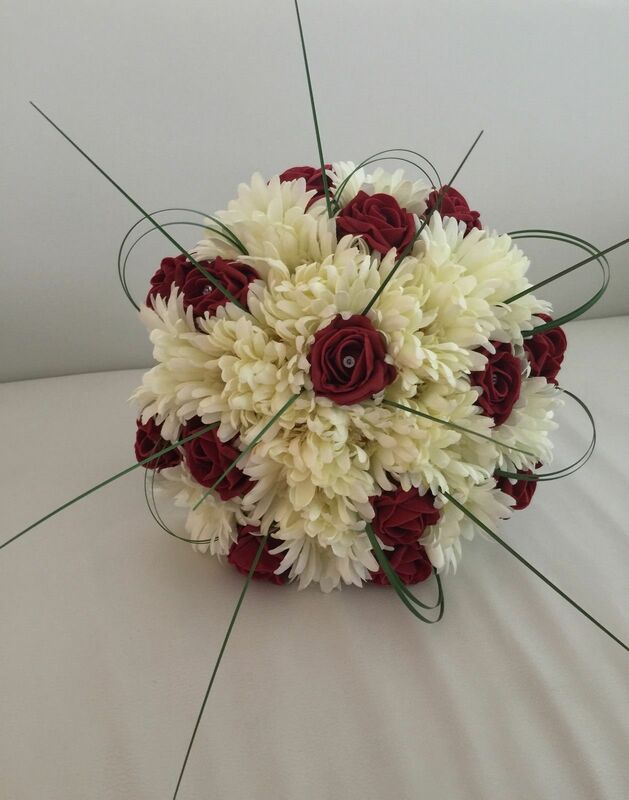 All of the bouquets are made with high quality artificial Ivory gerberas and deep red foam roses, diamante stones set in the centre of each flower with beargrass. 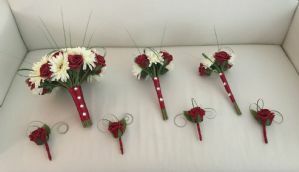 The bouquets are hand tied with deep red satin ribbon down the handle and finished with sparkly diamantés. 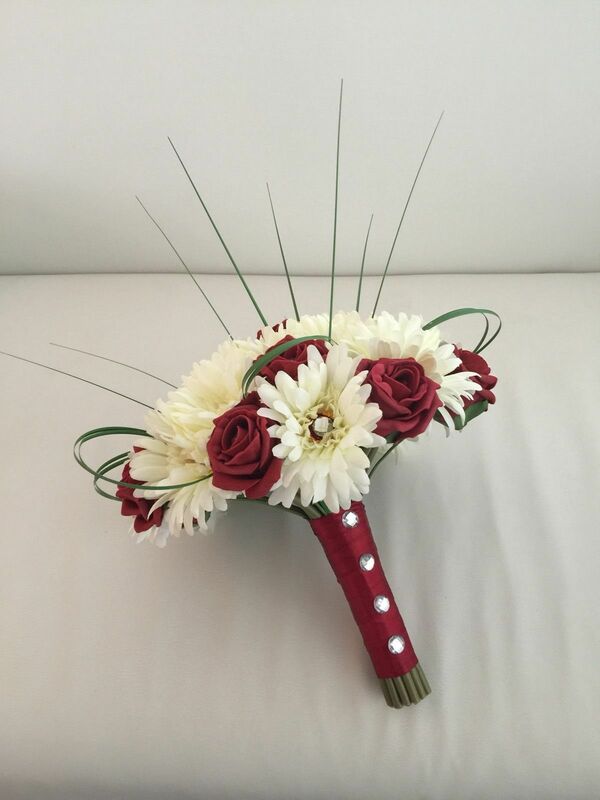 The button holes are made with one deep red artificial foam rose, arranged on rose leaves with diamante stones set in the centre of the roses, beargrass and finished with deep red satin ribbon on the stem. 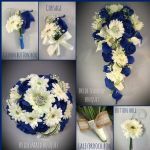 I very often dispatch well before the stated delivery time, however in busier times the wait may be as long as the stated delivery time. 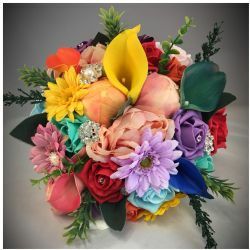 THE DISPATCH TIME BEFORE LEAVING FEEDBACK, THANKS. 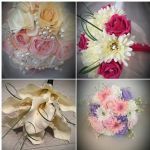 Items will be dispatched upon receipt of payment within the stated delivery time.